Most of us have grown up reading stories and tales from our ancient scriptures and have remained fascinated for life long. The tales of valour, honesty, love, strength, and focus have remained the pillars and cornerstones of our culture and helped in shaping our minds. Like many, I too have loved reading these from early childhood and through growing up years. The curiosity to learn more never seems to end. The fascination for reading yielded some very interesting revelations which I was not aware of till now! 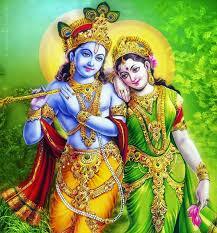 If I tell you that Goddess Parvati, Sita and Radha were sisters I am sure most of you will not believe. This revelation came to me while reading the text of Rudra Samhita in Shiv Purana recently. The story is not only interesting but needs to be told to those who may be interested to know. The story goes like this! Lord Brahma the creator of the universe had a son called Daksh! He was a very brave King and was blessed with sixty daughters. These daughters were the creators of all humans. Of this one of them was called Swadha. 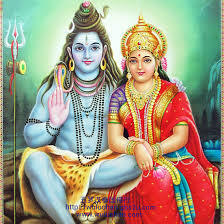 When she grew up she was married to Pitron( who was born from the backbone of Lord Brahma according to Vishnu Purana). Swadha, in turn, gave birth to three daughters who were not only very intelligent but also beautiful. Their names were Maina, Dhanya, and Kalavati. 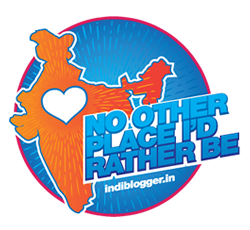 When they grew up they decided to visit the abode of Lord Vishnu, called Shwetadeep (The White Island)! They were awestruck with the beauty of the place and decided to stay back there. After some time a huge congregation of the saints and rishis was held on the island where all the great men including the great sage Sanatkumar also came. All the audience in the congregation rose to honour these noble men except these girls who were busy chatting. This enraged the sage Sanat Kumar who cursed them that they did not deserve to stay in heaven but return to earth. By the time the girls realized their folly it was too late and sought pardon from the saint. After some time the sage calmed down and told them that they would have to go to the earth. He, however, granted them a boon that each of them will marry great men. Also, they will give birth to daughters that will achieve fame like no other and will be blessed with virtues for which they will be remembered for the generations to come. Thus, with the passage of time, the eldest of the daughter Maina was wedded to Himvan(The King of Himalayas) who was a repository of great wealth, abundance and abode of many sages including the residence of Lord Shiva, the Mount Kailash. She gave birth to Parvati who with her devotion was married to Lord Shiva, the creator, sustainer and destroyer of the universe. The second sister, Dhanya (also called Sunayana*), married King Seerdhawaj ( Janak *)the ruler of Videha -(* names according to Tulsidas's Ramayan). 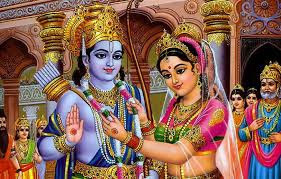 They were blessed with Sita (Vaidehi) who was eventually married to Lord Ram. The tales of Lord Ram and Sita have remained etched in the minds of all Indians for generations. The youngest sister Kalavati was wedded to a trader named Vrishbhanu. They gave birth to a beautiful daughter called Radha who towards later part of Dwaparyug was the beloved of Lord Krishna. She is known to this date and is revered by all along with Lord Krishna. After blessing the three sisters, the sage Sanat Kumar disappeared. So the story of the three sisters goddesses Parvati, Sita and Radha are demystified, as their mothers were related as sisters. Very interesting legend. Our puranas have such hidden tales that one needs several lifetimes to read and know them all.